Today’s students expect more from their college experience. We are transforming campuses one project at a time. We create environments that foster collaboration, encourage exploration, and allow students to thrive in a continually evolving academic environment. Central Michigan University desired to renovate and design an architecturally-consistent and student-friendly academic environment. TowerPinkster worked with the University to change the perception of Grawn Hall from a simple classroom building, to a collaborative and technology-rich space for student gathering. Due to the University's overcrowded Indoor Athletic Complex, the baseball program needed more space of their own. TowerPinkster designed an addition to the building located adjacent to the bullpen area, offering easy access for both indoor and outdoor training activities. TowerPinkster worked with Northwood University to design two new 21st-century apartment-style facilities within a recently purchased wooded property along the north side of campus. The buildings are nestled into the trees with views to adjacent wetlands and open spaces. The University of Notre Dame wished to build an addition to their Eck Baseball Stadium in order to provide better amenities to the athletes who play there. The new building addition houses a team room and associated support spaces to serve the University's 35 varsity baseball players. 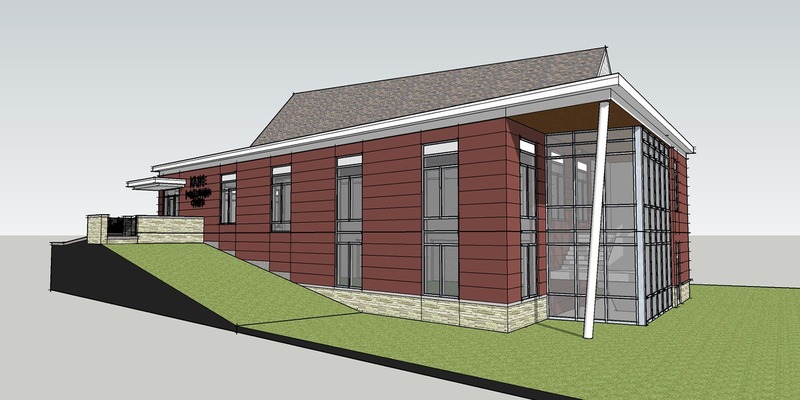 TowerPinkster is currently working with Kalamazoo College to design a replacement natatorium which will serve the men’s and women’s swim teams as well as the local community. The design will include an NCAA competition-compliant pool with wet offices and classrooms, spectator viewing areas and locker rooms. 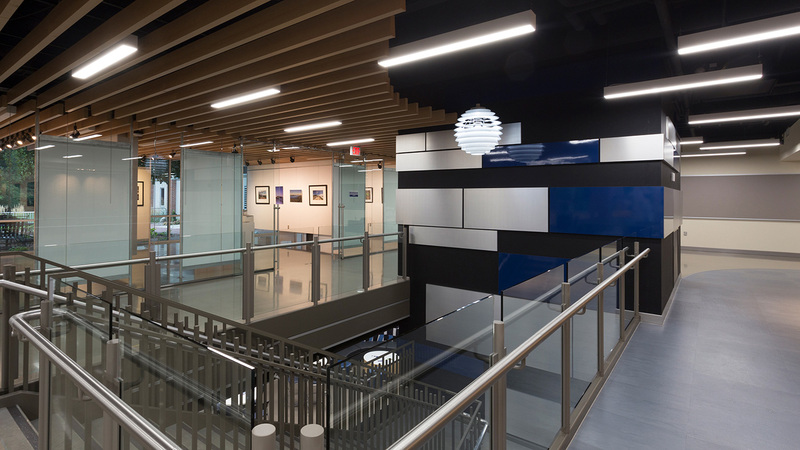 The center portion of the 1930’s building was renovated to create a new atrium that provided visual connections inside and out. Student service functions were consolidated and radiate from this central atrium. Multiple floor levels were reduced to three, providing complete accessibility. A variety of student gathering spaces, dining spaces, and food service were created to accommodate large and small group meetings and social functions. The University of Notre Dame’s North Dining Hall, built in 1957, was last renovated 1988. The building’s amenities not only required updating, but the University also wished to enhance the look and experience of the dining hall for students and faculty. 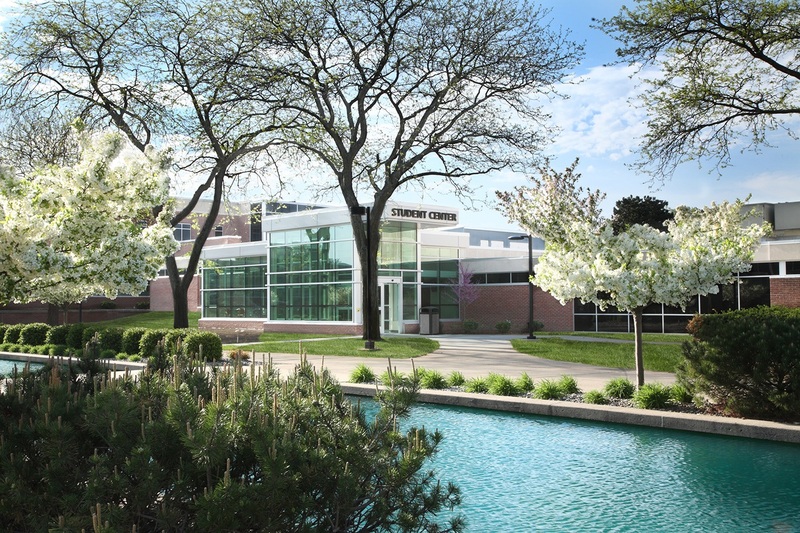 As a part of the Arcadia Collaborative, TowerPinkster worked with KVCC in order to bring the Culinary and Allied Health Building to the new Bronson Healthy Living Campus. The building focuses on the interconnection of the college's Food and Health Studies programs. The Culinary Arts program focuses on healthy outcomes and the impact food can make on a community, while the Allied Health program focuses on real-world experience for EMT, respiratory care and nursing students. 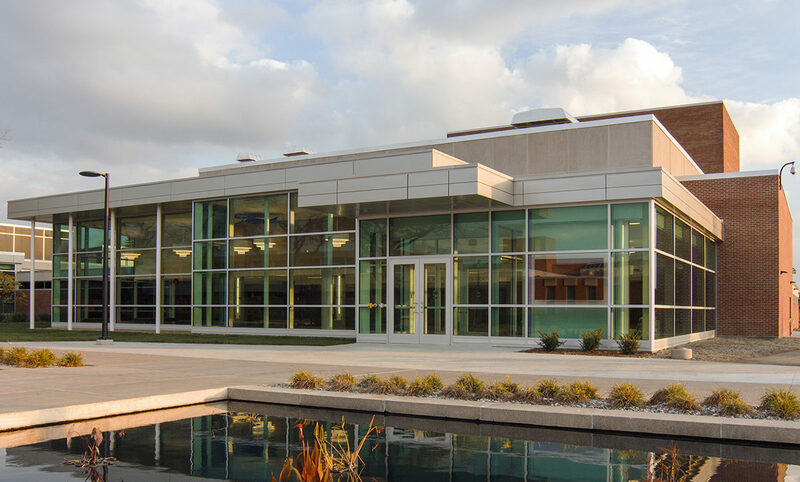 Kalamazoo Valley Community College (KVCC) had the vision to add new facilities to support its Culinary Arts and Allied Health Programs. One of three buildings within the new Bronson Healthy Living Campus development in downtown Kalamazoo, the new Food Innovation Building responds to the rising trend of simulation within the academic environment and promotes wellness while increasing community access to healthy food and nutrition. The legacy of WMU was founded in 1903 when its historic home, “East Hall,” was built atop of Prospect Hill. The building's historic character was restored and transformed into an Alumni Center featuring campus displays, artifacts, and historic elements. TowerPinkster completed the 2015 Campus Master Plan update for Aquinas College, a 107-acre campus with a student population of 2,400. The Master Plan is a 10-year update focused on the rich Catholic Dominican traditions, the wooded campus setting, and the current and future students of the College. TowerPinkster is working with Aquinas College to establish a new face for their science program. Redeveloped areas will feature research space, classrooms, offices, and collaborative student areas, and a sizable addition will house new teaching labs and a lecture hall. Academic programs including Biology, Chemistry, Geography, Nursing, and Physics will reside in the new space, as will the College’s Institute for Economicology. Northwood Universit opened its Graduate School of Management, featuring flexible classrooms for business programs at the masters and doctoral levels. 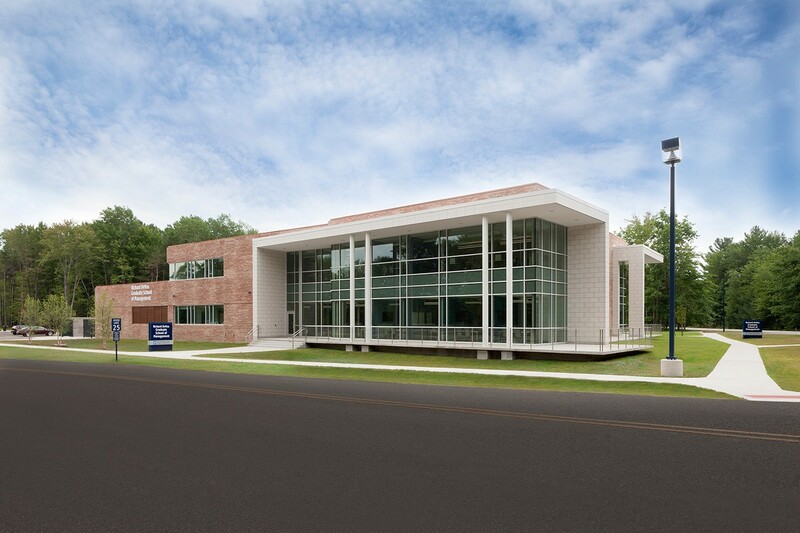 The addition to the Midland campus provides increased presence and extended offerings. 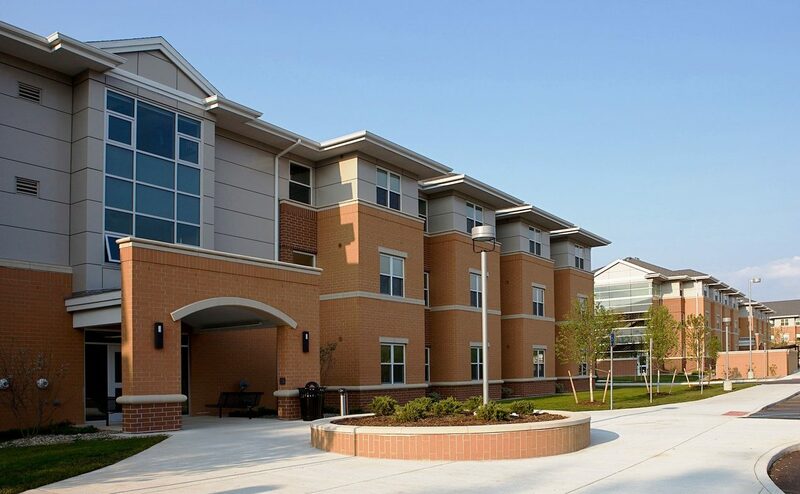 This is Northwood University's first LEED project, receiving LEED Silver Certification. Originally constructed in the 1960s, Binda Theatre was outdated with a small lobby and minimal space for receptions or gatherings. 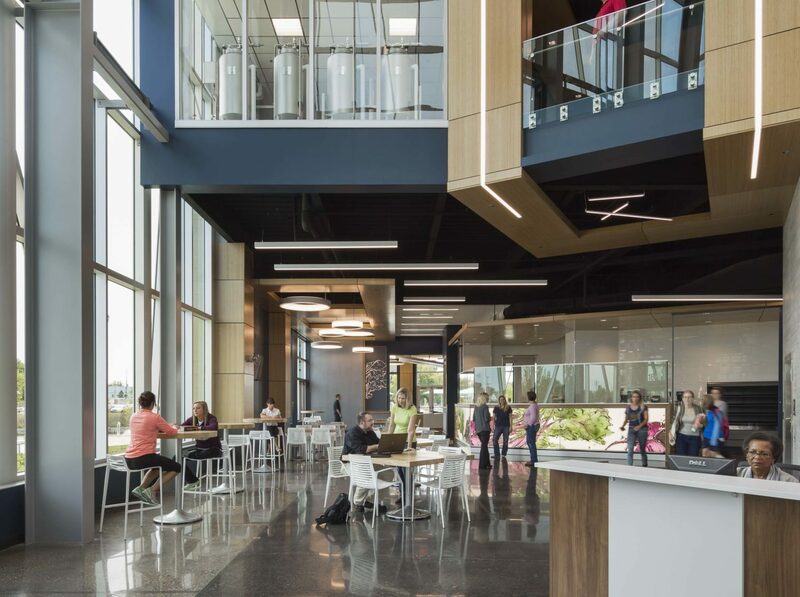 TowerPinkster renovated the building to include the addition of a new, technology-equipped atrium which is now large enough to serve multiple functions. The college hosts job fairs, presentations and other events in the space, utilizing new projection capabilities. 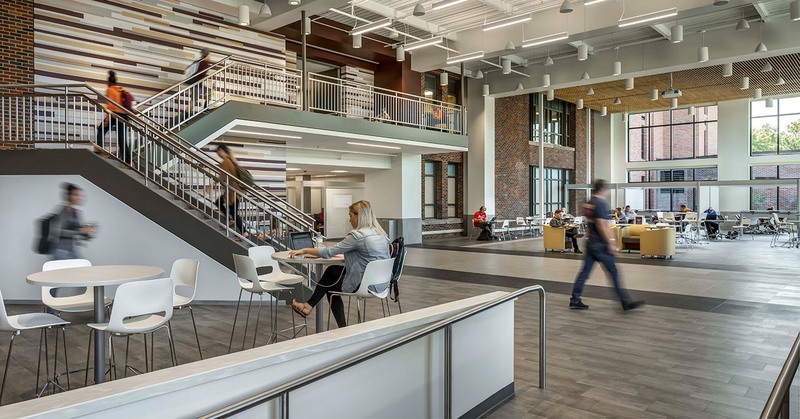 In order to attract and retain students in today’s competitive higher education environment, TowerPinkster’s design had to offer the academic and social environments and amenities today’s millennials expect on campus. Three new, 3-story complexes were constructed on campus where nearby educational, recreational and social opportunities abound. The 300 bed facilities feature two- and four-bedroom units, as well as flexible common spaces, laundry facilities, and adaptable technology. TowerPinkster, Hopkins Burns, and The Christman Co. transformed the Federal Building into a modern classroom building. The main floor boasts an art gallery and converts the original post office into gathering spaces and metal shop. Courtrooms were converted to lecture halls, and judges’ offices to modern classrooms. Kellogg Community College’s original industrial art building was housed in the Lane Thomas Building which had many uses over the years with minimal upgrades. The building did not meet the requirements needed to instruct EMS and Criminal Justice programs. 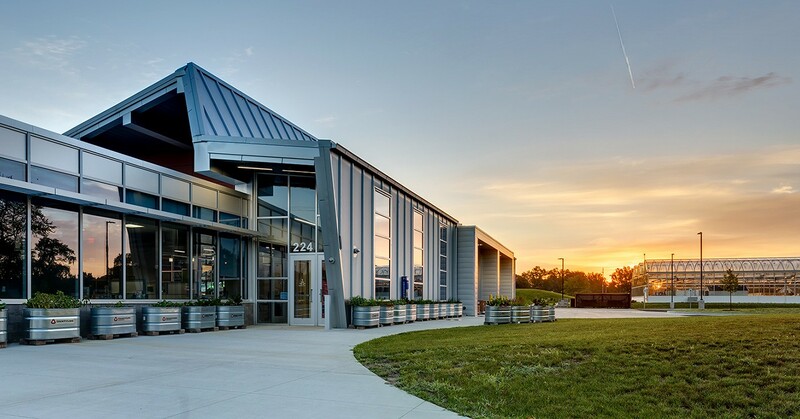 Renovations and additions included multi-use classrooms, simulation labs featuring a functioning ambulance, simulated residential area and emergency room, and spaces for vehicular extraction. The bookstore, which is also housed in the building, received updates and was relocated to the lower level of the building, adjacent to a large parking area allowing easy access for students on this commuter campus. TowerPinkster worked with user groups and stakeholders to gather input for reconfiguring the building to better serve students and staff. A new glass entry was also designed to create a greater prominence on campus as the original entry was non-descript. This new entry provides more natural light, deeper into the building, which creates a more welcoming and open environment. Established in 1946 to address the needs of returning World War II veterans and to provide educational opportunities to the people of Eastern Upper Peninsula, Lake Superior State University still embodies the essence of earlier times. 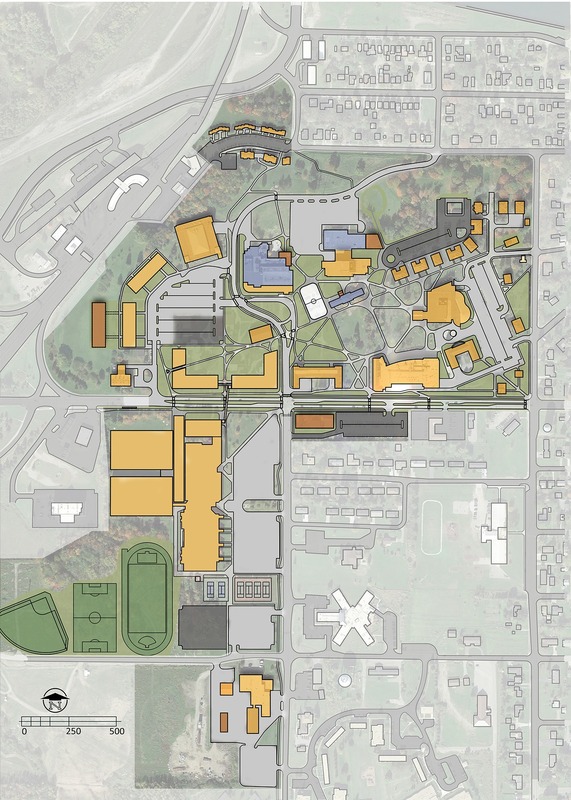 TowerPinkster conducted a Campus Master Plan focusing on the current trajectory of LSSU and moving into the 21st century while paying respect to the campus’ historic background. 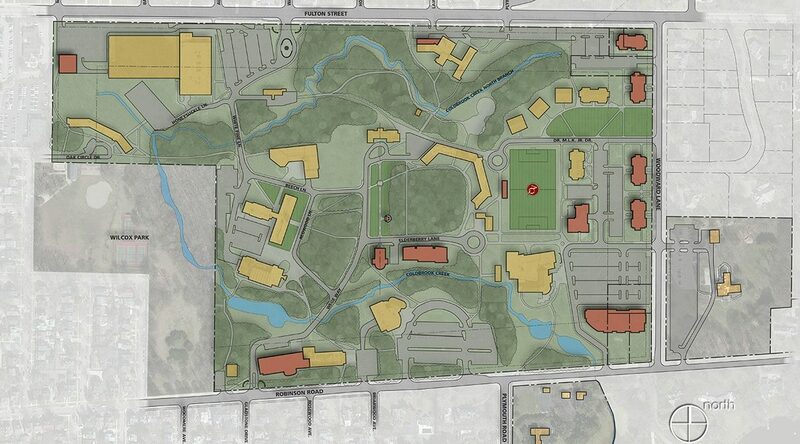 When Northwood University recognized that it needed to continue to improve and maintain the campus and its facilities, they teamed with TowerPinkster to develop a new Master Plan for their Midland Campus. Kellogg Community College underwent several renovation projects as part of Phase II of their Capital Improvement Program. Projects include additions and renovations to the Eastern Academic Building, Miller Physical Education Building, Binda Performing Arts Center, as well as 35,000 square feet of improvements to the Davidson Visual and Performing Arts Academic Building. As part of the 2015 Master Plan that TowerPinkster completed for Aquinas College, it was identified that the main entrance to the college needed to be enhanced in order to build the brand of the college in the broader community. To support its mission, Northwood found it necessary to provide a larger, more suitable facility with greater street presence. TowerPinkster transformed an old call center into an inspiring educational environment. 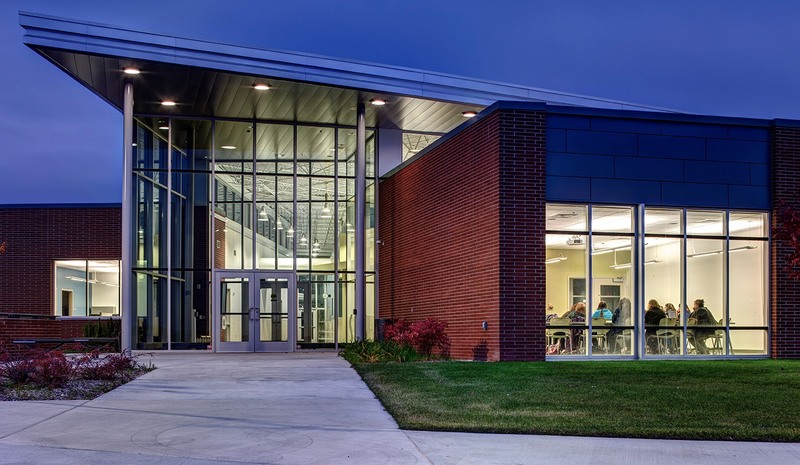 The new Advanced Technology Center allowed MCC’s existing renewable energy program to expand while providing up-to-date classroom, laboratory, office and support spaces. The design optimizes advanced technology programming and provides for future flexibility. 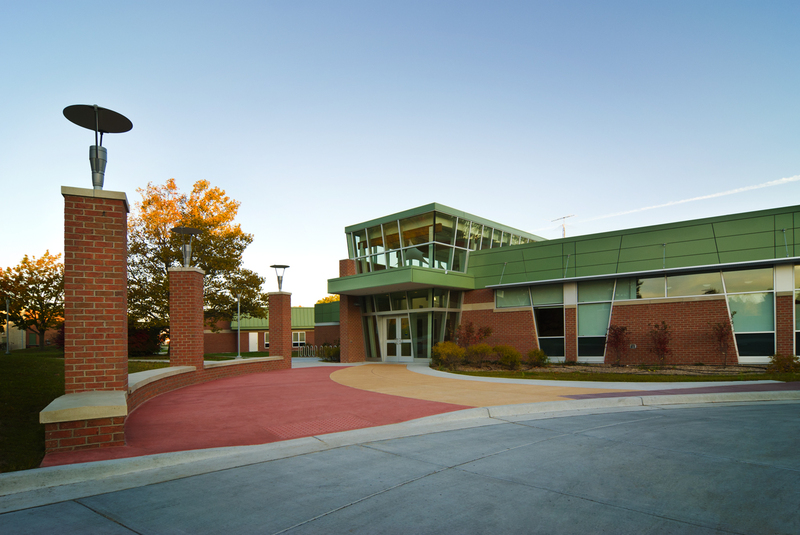 The MTEC building also underwent an addition and renovation to provide more space for the college's Automotive Technology Program. The mission of Kalamazoo Valley Community College (KVCC) strives to enrich the lives of students and communities by providing quality educational programs and services. 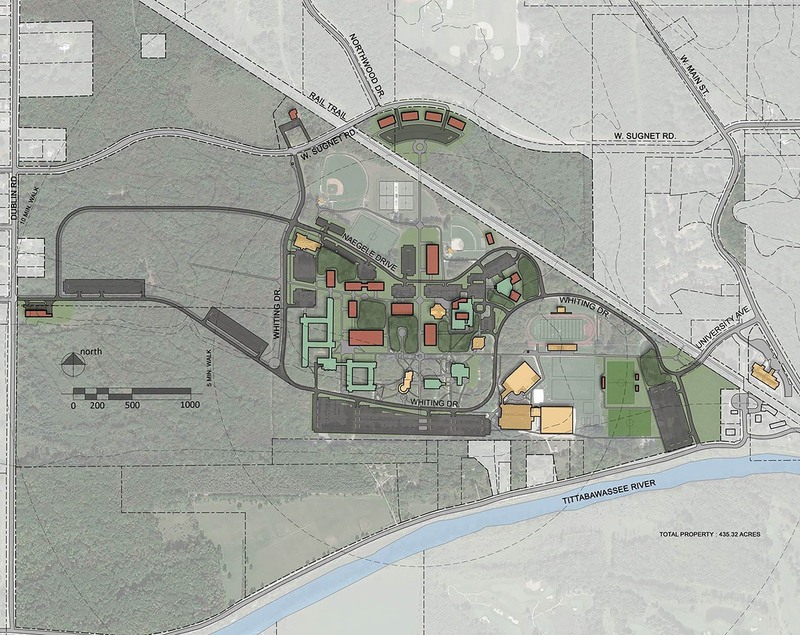 Following this objective, the college identified an opportunity to offer additional space and expand programs when they received 13.5 acres of land donated from Bronson Healthcare Group (Bronson) in downtown Kalamazoo. The Katke Golf Course is home to FSU’s Professional Golf Management (PGM) program. The combination of a highly rated public golf course and a degreed program, led FSU to a new addition on the existing facility for enhanced student instruction and to house the Michigan Golf Hall of Fame. The new PGM Learning Center will feature two levels: the lower will contain hitting bays and 650 SF putting green. The upper level will display Michigan Golf Hall of Fame artifacts and will also contain year-round, temperature-controlled hitting bays equipped with overhead doors and state-of-the-art technology for enhanced instruction. 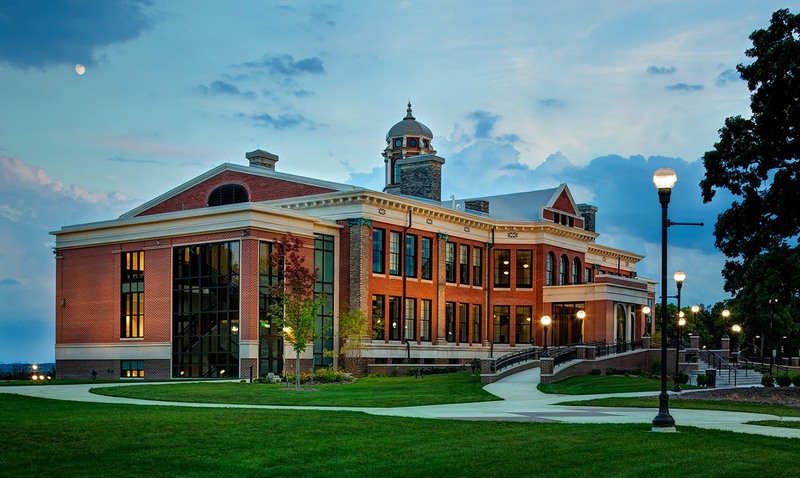 The expansion and renovation of the Arts and Sciences Center successfully unifies programs including graphics, digital photography, traditional art, music, performing and language arts functions into a single location. The former campus library houses large art studios with an adjacent gallery to display student work. The existing theater was renovated to serve dual-functions as a performing arts space, as well as a 60-seat tiered lecture hall. Adjacent to the theatre, new music rooms were added along with a separate piano lab and practice rooms. This facility consolidates student services - including a state-of-the-art library, advising, testing and tutoring, women’s resource center, bookstore, student lounge and café - to create greater accessibility and a centerpiece of student activity. The new “front door” of the campus, the transparent curved façade and covered walk provides connectivity to adjacent buildings and the out of doors, as well as establishing visual connections with the rest of campus.